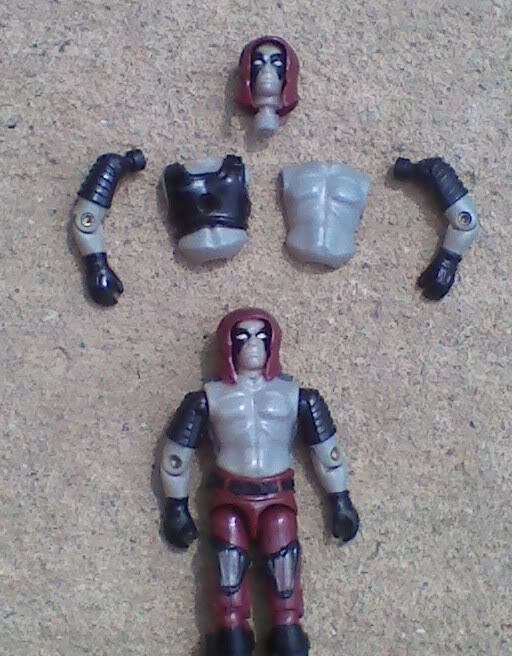 You are currently browsing the tag archive for the ‘purple’ tag. Today’s garden-themed post features a flower which I have never planted—indeed, having grown up in farm country, I am somewhat alarmed by this plant. Yet, as I walk around the neighborhood I am beguiled by its seductive beauty (plus there aren’t too many ponies in Brooklyn these days). I am of course talking about the Rhododendrons, a large genus of woody heaths which speciate most prolifically in Asia around the Himalayas, but also can be found throughout Eurasia and into the Americas (particularly the Appalachian Mountains). Actually, I was dishonest in the first sentence (it’s a national fad these days), I have, in fact, planted azaleas, which are a species of rhododendrons, but I am writing here about the big showy purple rhododendrons, and we will leave real talk about azaleas for another spring. In the In the Victorian language of flowers, the rhododendron symbolizes danger and wariness. This is fully appropriate since some of showiest and most highly regarded rhododendrons are indeed poisonous: they contain a class of chemicals known as grayanotoxins which affect the sodium ion channels in cell membranes. Rhododendron ponticum and Rhododendron luteum are particularly high in grayanotoxins. Humans are somewhat less susceptible to these compounds than other mammals (like poor horses, which just are apt to drop stone dead from browsing on rhododendrons), however, as is so often the case, our cleverness, grabbiness, and our taste for sweetness also puts us at higher risk for consuming grayanotoxins. Bees are drawn to the large colorful (and sweet) flowers of rhododendrons and they use the grayanotoxin rich pollen and nectar to make honey. If a bee hive incorporates a few ornamental azaleas into the honey, this is not too dangerous, but in regions where rhododendrons dominate and all come into bloom at once, the resultant honey can be extremely dangerous. This “mad honey” is said to cause hallucinations and nausea in lower doses, but in larger quantities it can cause full body paralysis and potentially fatal breathing complications. Like the hellebore, rhododendron honey was one of the first tools of deliberate chemical warfare. Strabo relates that Roman soldiers in the army of Pompey attacking the Heptakometes were undone by honeycombs deliberately left where the sweet toothed Romans would find them. It seems best to appreciate rhododendrons by looking at them. In fact, if you live in a Himalayan fastness surrounded entirely by rhododendron forests (or if you are attacking the Greek people of the Levant) maybe don’t eat honey at all…not until later in the summer. It has been a while since I blogged about my garden—which is a shame since it has been unusually beautiful this year. Alas, I am not an especially good photographer, but here are two little garden pictures so you can relive the end of May and the beginning of June with colored pencil drawings. Here is “Night Ruler” the dark violet iris which I blogged about last year. It had about two good days before a rainstorm knocked down the 4 foot flower spikes—but they were two GOOD days. There is hardly a flower more beautiful than the near-black German iris. Here is another beautiful flower, a floribunda rose named “Livin’ Easy” which is sort of a fluorescent coquelicot color. It is hard to get the vibrancy of the color of this beautiful little rose (and even more difficult to capture the heavenly smell). Maybe you will have to imagine the joy of rose season here in late spring/ early summer. Until last week it was a slow cold spring in Brooklyn—but, then, suddenly, the season sprang into action in a flurry of beautiful colors. The tulips leaped up out of nowhere–although the accursed squirrels are beheading them as fast as they bloom–and the cherry tree blossoms are just beginning to open (more about that later). Here is a picture of my garden the other day: you can see some of the classic Dutch-style tulips and the bleeding hearts over in the left corner. However I wanted to draw your attention downwards to a flower that barely makes it into the picture because of its delicate tininess: the muscari or grape hyacinth—a diminutive but exceedingly lovely plant. Muscari originated in Central Asia, Asia Minor, North Africa, and the Mediterranean Basin. The little flowers bloom in temperate woodlands of the region’s forests early in spring before the trees have a chance to set leaves. They propagate easily and can become beautiful purple, blue, and white carpets on the woodland floor. Muscari have escaped the garden and naturalized in parts of North America, Asia, Africa, and Australia. Grape hyacinths have that name for a reason: they are botryoidal and take the form of a pyramidal cluster of grapes (although each individual blossom is actually a tiny urn). The effect is enchanting up close. At a distance the little urns become indistinguishable. In fact the individual plants blend together into an amalgamated mass of color–and what a color. The finest feature of grape hyacinths are the exquisite hues. They come in pale blue, white, and (lately) steely pink, but the most characteristic color is also the finest—an incredible blue-violet with a glaucous shimmer. I have always wanted a vast field of muscari, because they begin to take on the otherworldy haunting qualities of their relatives, the bluebells. From a distance, large numbers of muscari look like rivers or oceans or the surface of alien aquatic worlds. They are just beautiful! Hopefully mine will keep expanding so that future springs will be even more dramatic. From the 1830s through the late 1850s, the capital of winemaking in the United States was Ohio. Nicholas Longworth of Cincinnati successfully planted great vineyards of Catawba grapes along the Ohio River. He had moderate success making sweet white wines but his greatest success came after he accidentally produced a sweet sparkling wine which oenophiles of the day likened to French champagne. The sparkling wines of Ohio became briefly internationally famous and bon vivants of the East Coast, Victorian England, and continental Europe paid top dollar for what was regarded as a premium International luxury beverage. Odes to the grape were written by famous poets and the Ohio valley briefly resembled Ardennes. The Catawba grapes which were at the center of this Bacchic empire were a dark brownish pink/purple grape from the East Coast. They were said to be a hybrid of native American grapes and imported European vines, although where the distinctive grapes and the distinctive name actually came from is seemingly lost in history (which is to say it was probably all a marketing stunt by Longworth). The grapes themselves were sweet red grapes with a tendency to have a foxy flavor (which sounds like more marketing language for unpleasant muskiness). The vines grew vigorously but were subject to attack from powdery mildew. In the 1860s powdery mildew joined forces with economic devastation and dislocation of the American Civil War to crush the nascent Ohio wine industry to such a thorough extent that it sounds like I am writing about alternate universe history. The entire reason I bring up this boom and bust story is because it is memorialized in a very beautiful color, Catawba, a pretty organic shade of brownish pinkish purple. Now whenever you see the delightful color (which is used less than it should be), you can think of how Ohio might have become a land of rolling rivers, chateaus, monasteries, lavender fields, and fine living…. Imagine a huge tropical tree with a heart of deep purple. 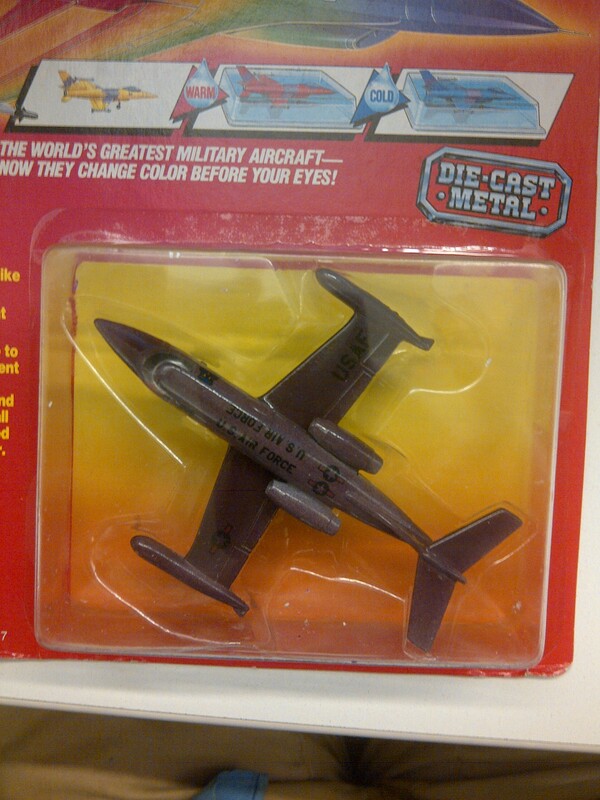 OK—you don’t have to imagine it. Such trees exist: they are the Peltogyne genus of flowering trees. 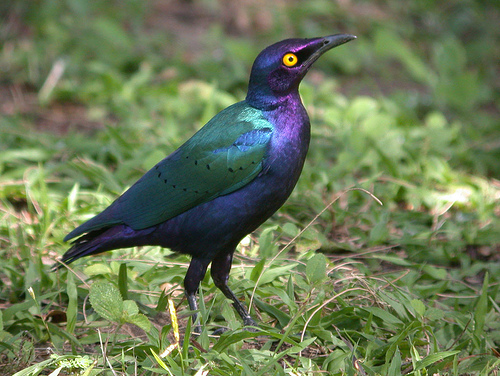 The Peltogyne are native to Central and South America. They are part of the larger Fabaceae family–the bean family–a vast family of plants which are extremely important to humankind. 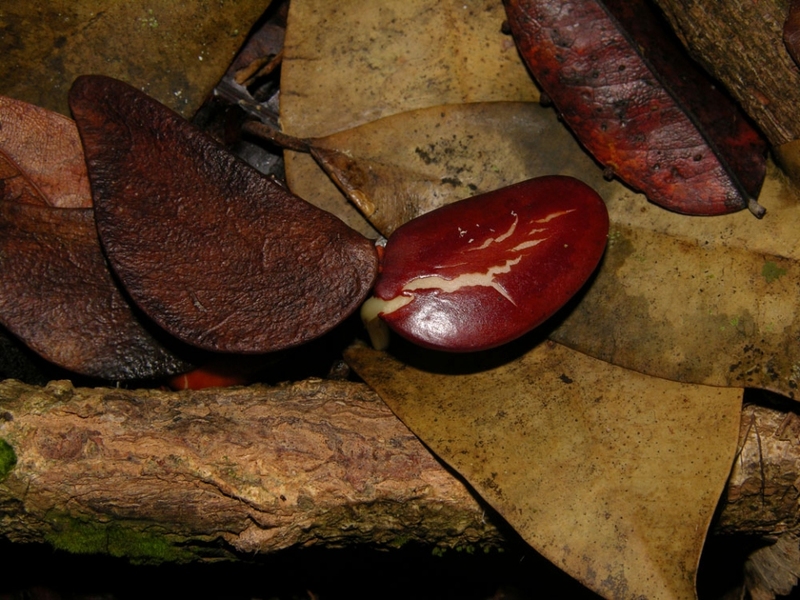 The beans and legumes make up subsistence food for much of the world’s population and are instantly familiar…but it is hard to see the family resemblance between a little bean runner and a purpleheart tree. 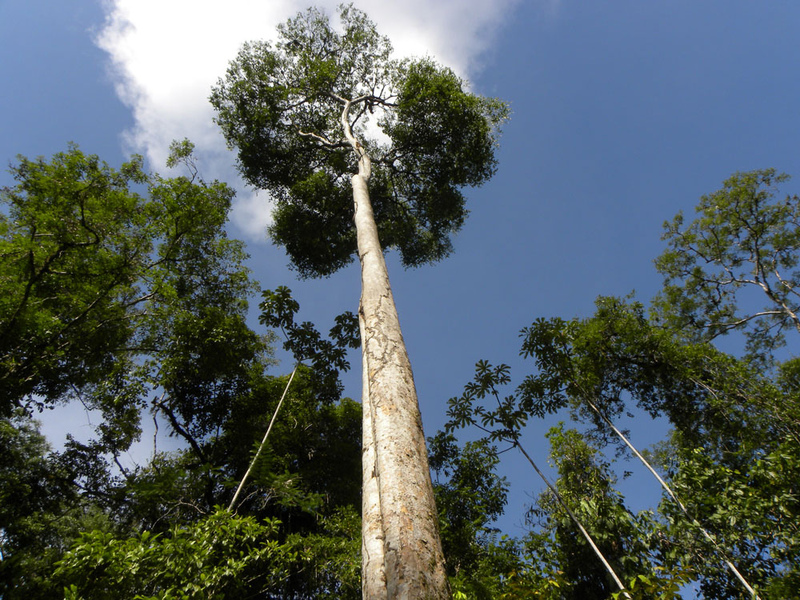 The latter grows to heights of up to 30–50m (120–150 ft) tall and can have trunk diameters of up to 1.5 meters (5 feet). Only in the pod-like seed is there a ready family resemblance (at least to laypeople like me). 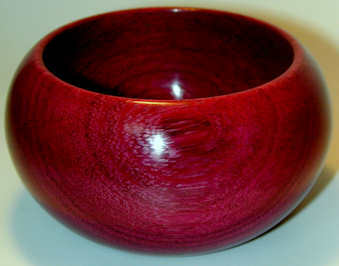 Purpleheart is one of the hardest and stiffest woods in the world. 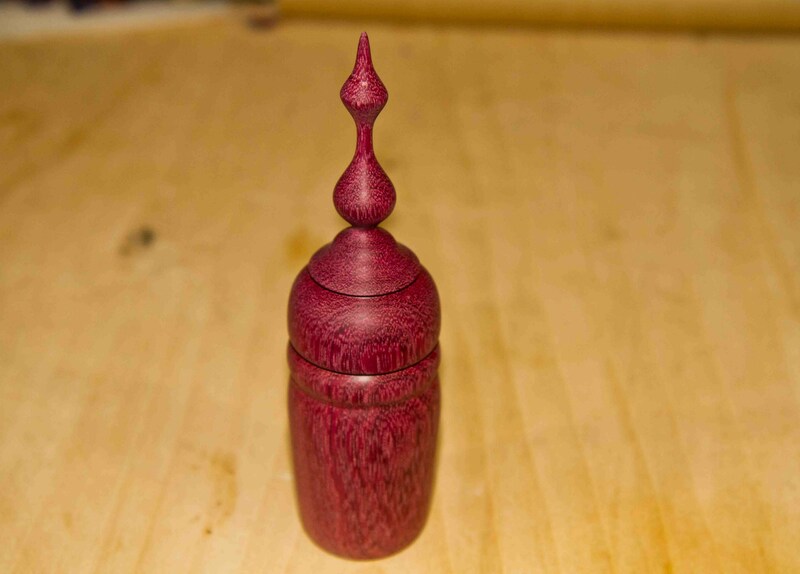 The heartwood cures into a rich purple hue of great beauty. The trees are coveted by woodworkers (even though craftsmen need razor sharp implements of hardened steel or carborundum to work the obdurate wood). As you can imagine this has put great pressure on the wild trees and some species are now endangered. Here are some pieces made from purpleheart wood. 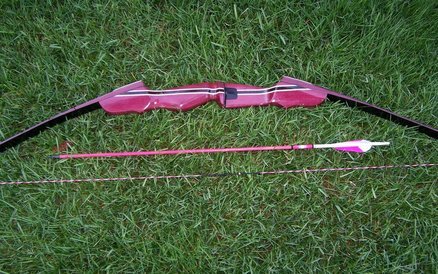 The wood is ideal for bows, gears, gun handles, tools, and any other application which requires hard wood which does not deteriorate, however because of its rarity and prohibitive price it is generally only seen in small accents and art pieces. 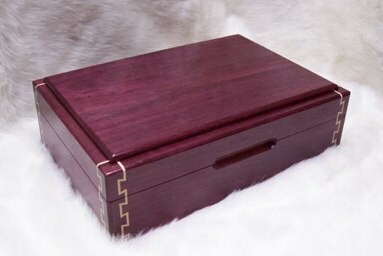 If you are lucky enough to have an item made of purpleheart you should treat it carefully. 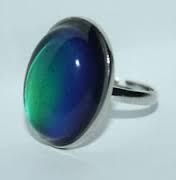 Exposure to ultraviolet light causes the purple to deepen to an opaque medium brown (although it is still pretty and just as hard). In 1856 the 18 year-old chemist William Henry Perkin was desperately looking for a way to synthesize quinine–since the British Empire relied so heavily on the Peruvian bark as an antimalarial agent throughout its many tropical colonies. 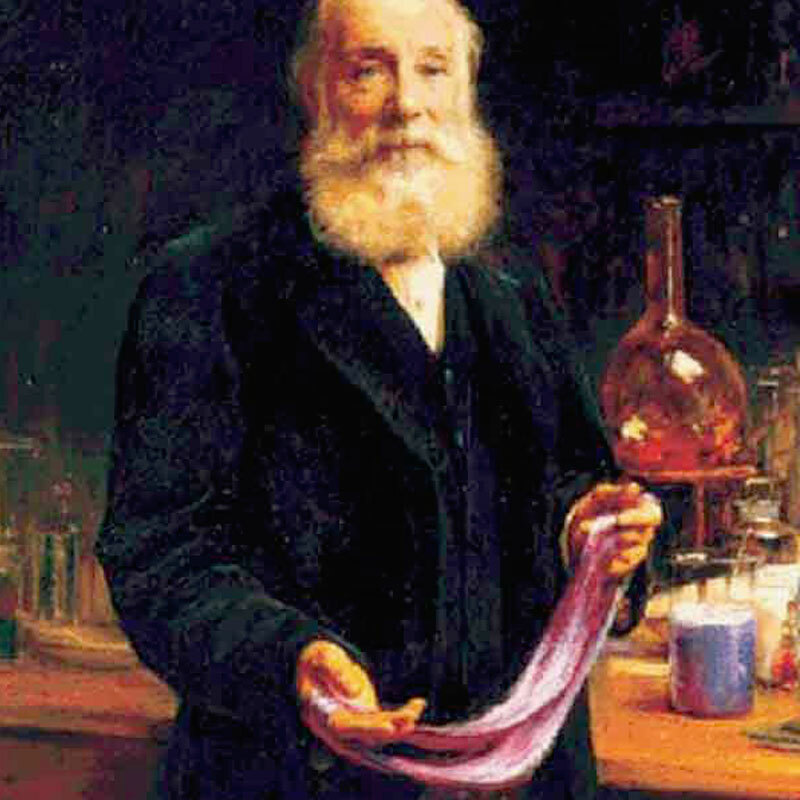 The brilliant young chemist failed to find a replacement for quinine, but he instead found a brilliant purple-pink chemical “mauveine” the very first aniline dye (the toxic aromatic amines today serve as precursors to numerous industrial compounds). 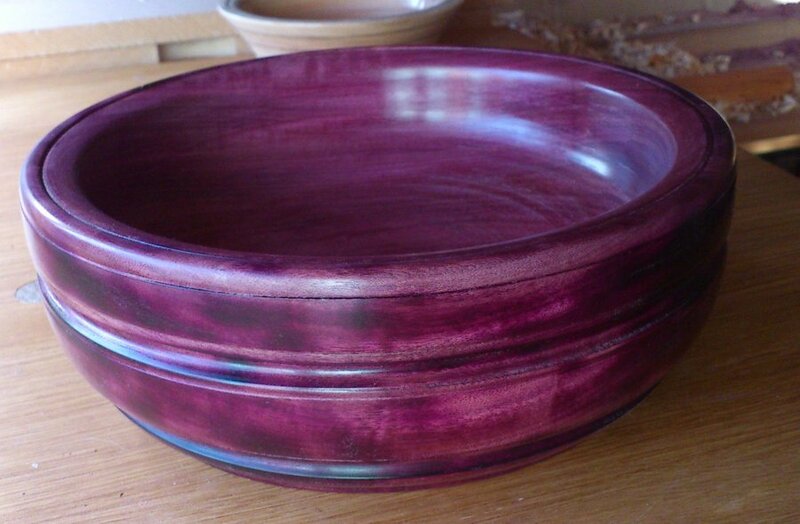 Perkin’s discovery lead to a revolution in purple dyes which had historically been costly, rare, and fugitive. Suddenly cheap synthetic purples were everywhere—particularly mauve, which was named for mauveine. 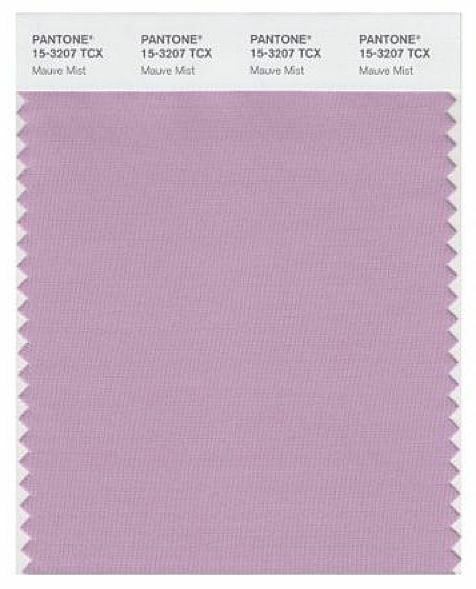 Perkins named his dye after the French word mauve (French for a particular sort of purple mallow flower). 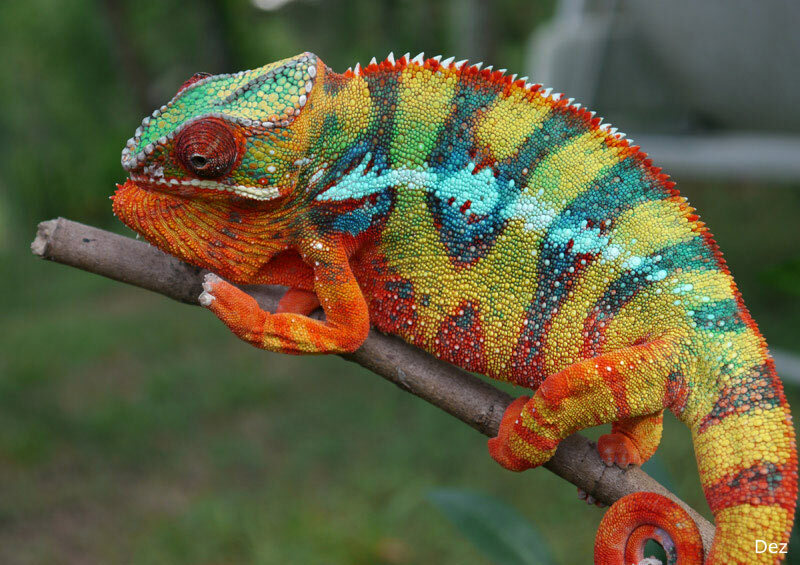 Today we understand mauve to be a slightly blue-grayish shade of magenta, but the original usage may have been different. 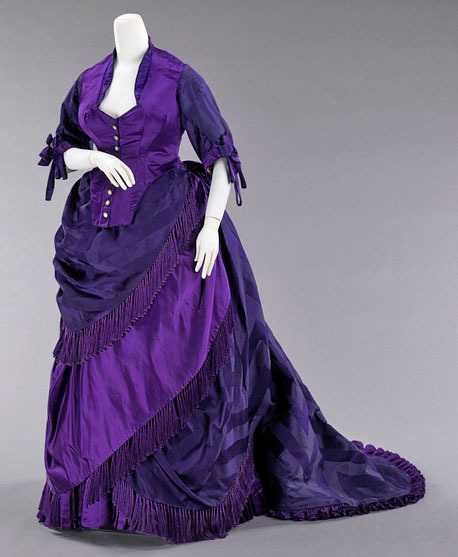 Mauveine dyes fabrics to a brilliant glowing purple—initially—however the synthetic purples created from this dye are also fugitive. The fabrics quickly faded and left succeeding generations with a somewhat attenuated color (which is what we thibnk of as mauve). 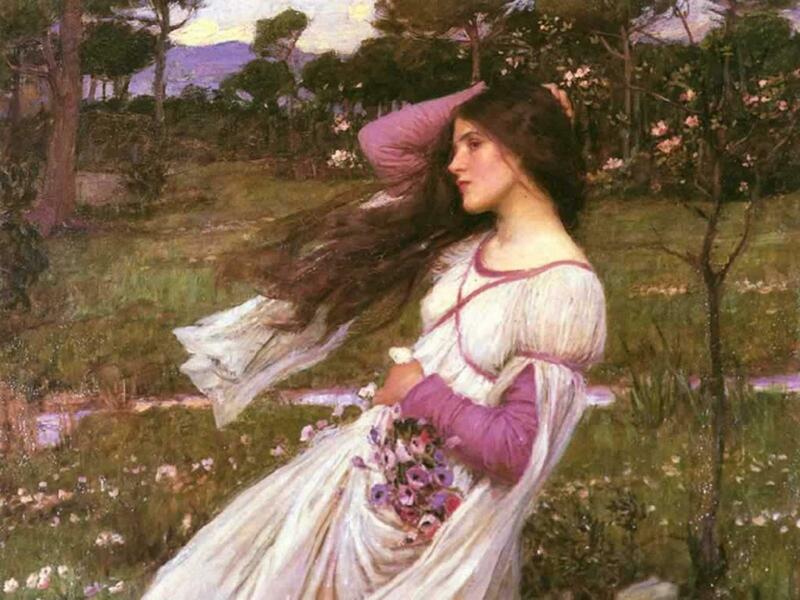 Some of the pre-Raphaelites even painted whole canons of works which soon changed colors as the purples faded. Many succeeding generations of new artificial dye have long since swept away mauveine (although Perkins became rich and was knighted for his teenage discovery). We now have brighter purples which do not fade (like the quinacridones and diozanines in my paintbox). 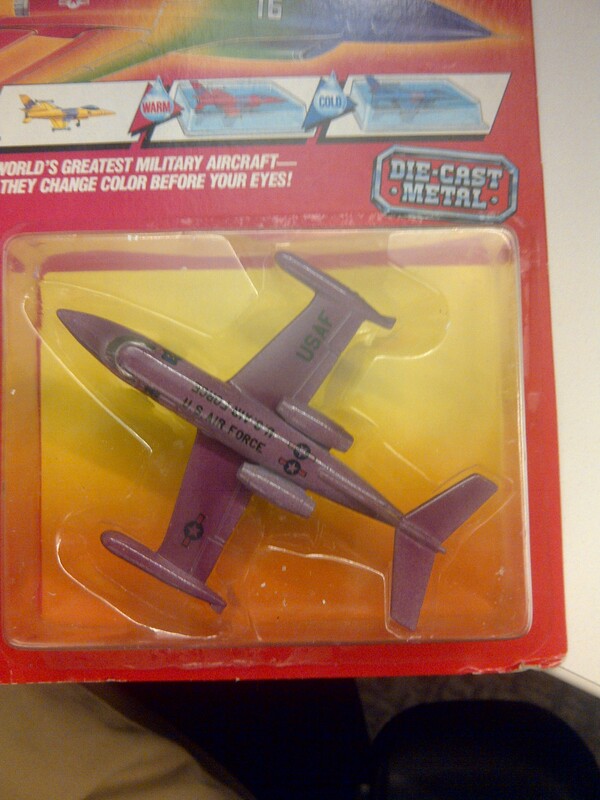 Whatever the virtues of the original color, mauve, as it is today understood, is a beautiful purple. Ferrebeekeeper has rhapsodized about Atlantic clams (which grow to fabulous old age) and we have written about pearls—the nacreous sort which come from oysters and the big orange ones from Melo gastropods. However did you know that ordinary clams can also produce pearls? This fact has been much in the news this week because a Virginia Beach woman bought a sack of clams from Great Machipongo Clam Shack in Nassawadox and discovered an extra consonant—er, I mean a rare clam pearl. The clams were farm-raised littleneck clams which were about two years old (before they were harvested and cooked, I mean). 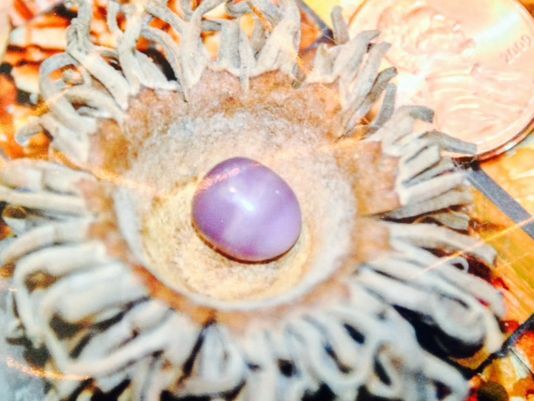 When the unsuspecting woman bit into one, she found a 4.5 carat lavender pearl. 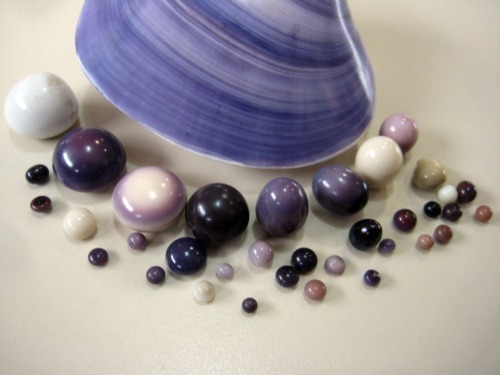 The gem is slightly acorn-shaped and lustrous with alternating horizontal bands of lighter and darker purple. Pearls also occur in the quahog, or hard clam (Venus mercenaria), of the Atlantic coast of the United States. Although these are rare, they are generally of good form, and some weigh upward of eighty grains each. They are commonly of dark color, purplish, ordinarily, but they may be white, pale lilac, brown, and even purplish black or black. Fine dark ones have a high retail value. They are often referred to as “clam pearls. 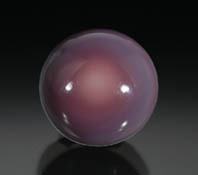 I kinda like the quahog pearl—like precious Melo pearls, it reminds me of an alien planet or an exquisite elfen turnip. 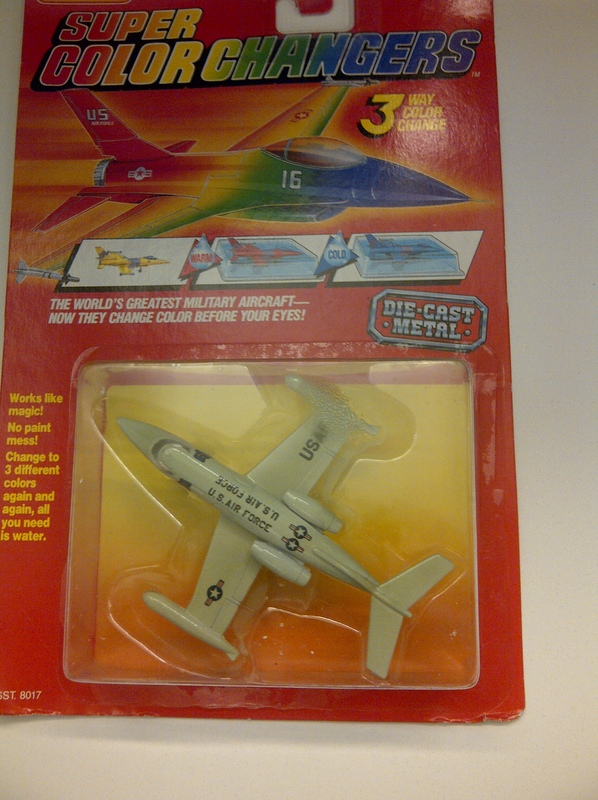 However if they cost $ 3K apiece you all probably should not expect to get any in your stockings from me. 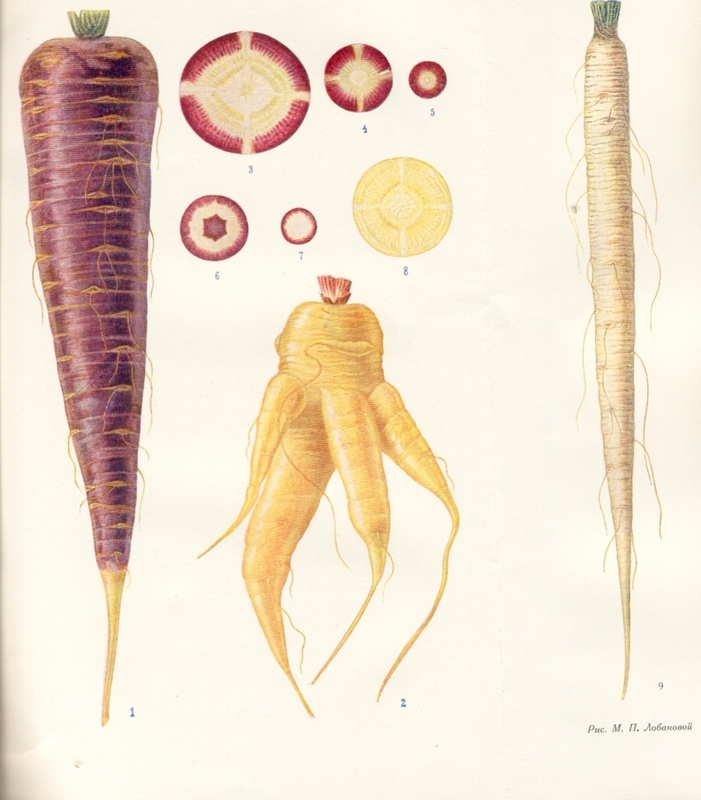 The carrot (Daucus carota sativus) has been in cultivation at least since classical antiquity (although Roman sources sometimes seemingly confuse the root vegetable with its close cousin, the parsnip). However don’t imagine toga-clad Romans walking around the Forum chewing on bright orange carrots like Bugs Bunny! 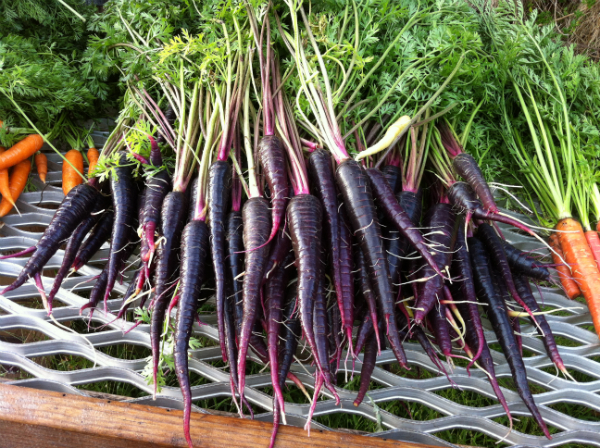 In Classical antiquity and throughout the Middle Ages, carrots were purple or white. It was not until the 16th century that far-sighted Dutch farmers stumbled upon a mutant orange carrot and hybridized it with other varieties to begin the now-familiar tradition of all orange carrots. 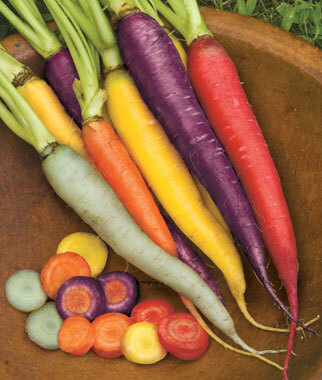 It is said that the orange carrots were chosen not just for their patriotic Netherlandish color (the princely Dutch House of Orange was leading a revolt against the Spanish) but also because they were sweeter and milder than the ancient white and purple cultivars.